No, it is not the controversial McLaren ‘Swoosh’ logo in the lights, vents, and headlamp-vents of modern Maccas. My favorite design details are the ‘Kiwi Scoops’ on the 570S. 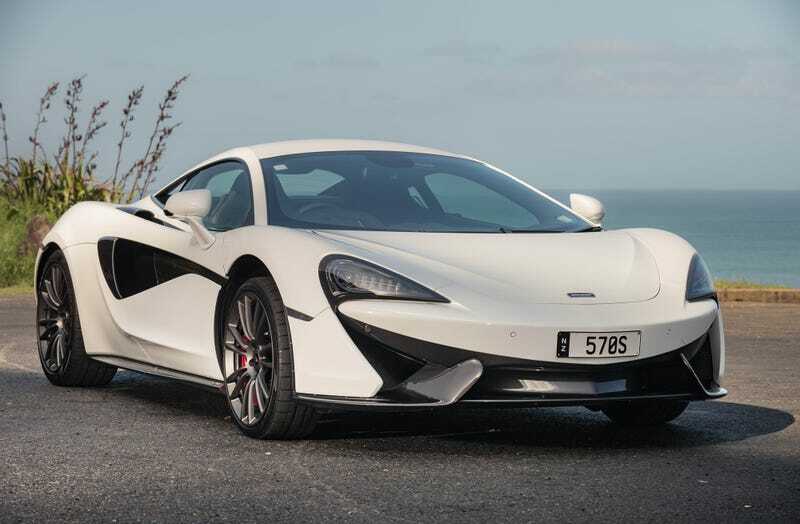 It’s fun seeing how much McLaren embraces their heritage within their modern design. There is a lot of the F1 mirrored into the 720S. The Kiwi part is the best to me because it’s a pretty adorable flightless bird evolved into one of the fastest brands on Earth. You cannot run from New Zealand’s bald eagle. Mmm, Papaya Orange and Kiwis. My stomach may get me off tropic this morning. I (theorectically) wish dark color Sports Series models could have their side scoops painted grey or something contrasting. Not that anyone would option that besides my-broke-self and the band. McLaren needs to build bikes! That’s how all “real” sportscar brands should do entry-level proper. Here is a progression of McLaren’s logos. And behold, the only thing that strikes fear into Porsche! Oh, while you’re here, I have something for you!